KRUPS Espresseria Full Automatic Espresso Machine How Do Super-Automatic Espresso Machines Work? Nespresso Pixie vs. Citiz Comparison: Which Machine to Buy? A Nespresso machine is the ultimate convenient automatic espresso machine that uses Capsules to create the perfect cup of espresso every time. Not only is it compact in size, very quick and convenient, it only requires you to insert a capsule and push a button and you’ve got yourself an espresso cup within seconds! Which Nespresso Machine Is Best To Buy? – If you want the best manufactured machine (but smallest water tank, on the down side), the Pixie is the only machine made in Switzerland. (some newer models may not be though, kindly check before buying). – If you want the largest water tank, and an option to have an integrated Aeroccino milk frother, the CitiZ is your machine! 2 reprogrammable cup sizes for espresso or lungo. Drip tray folds up to hold different cup sizes. Capsules container holds up to 12 used capsules. Backlights for buttons, Water level indicator. 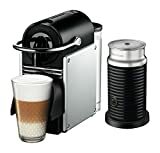 The Nespresso Pixie is the only Nespresso machine made in Switzerland. Available in Electric Titan (pictured above), Lime/Yellow, Red and Blue. Pixie C60 vs. D60, Is There a Difference? You might notice that some Pixie machines are labeled C60 and other D60, is there a difference between them? No, not at all. These numbers only reference slight model differences and colors, and does not affect the quality or performance of the machine at all. Simply choose the one that looks best to you!. 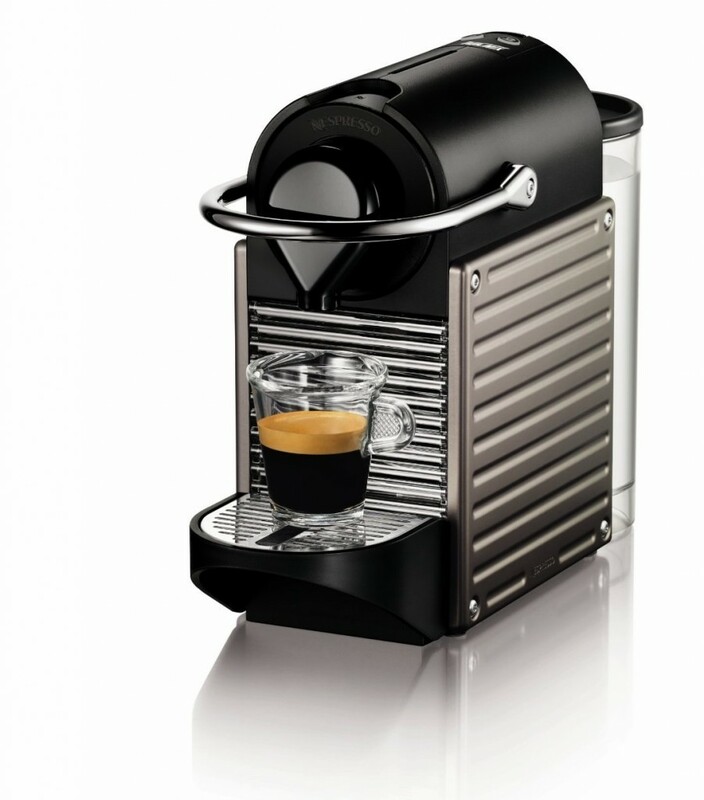 Click here to read more about the Nespresso Pixie and read customer reviews. 33 3/4 ounce water tank. This machine has the biggest tank of all Nespresso machines. 2 reprogrammable cup sizes: espresso and lungo. Available in Red, Aluminum and Titanium. 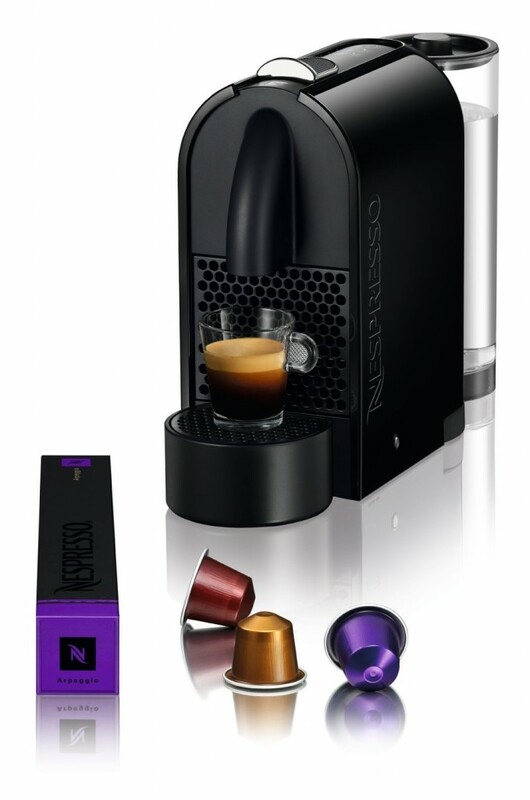 Click here to learn more about Nespresso Citiz and read customer reviews. Nespresso U is the most customizable of the three machines, It’s a machine that is truly made for YOU! Automatic memorization of three cup sizes: ristretto, espresso and lungo. Repositionable water tank, you can move it to the right, left or keep it at the back. Whichever is more suitable to your available counter space. Removable magnetic drip tray which can be removed to fit larger cups. Light indicator for empty water tank. Capsules dispenser holds up to 12 used capsules. Available in Black, Cream or Orange. Is There a Difference Between Nespresso U D50 vs. C50? No, not in the performance of the machines. The difference is only aesthetic (different colors and different spout shapes). Click here to read more about the Nespresso U and read customer reviews. What Is The Difference Between Pixie and Citiz? Pixie has a 24 oz water reservoir, CitiZ has a 33 oz reservoir. There’s difference in design of both machines that won’t affect the actual performance of it, but might make a difference to you or your kitchen decor. The difference is in the colors, side panels and the bar in which the machine opens/closes the lid. Both machines have backlit drawers that work as indicators for full waste bin or empty water reservoir. CitiZ is made in China, Pixie is made in Switzerland. 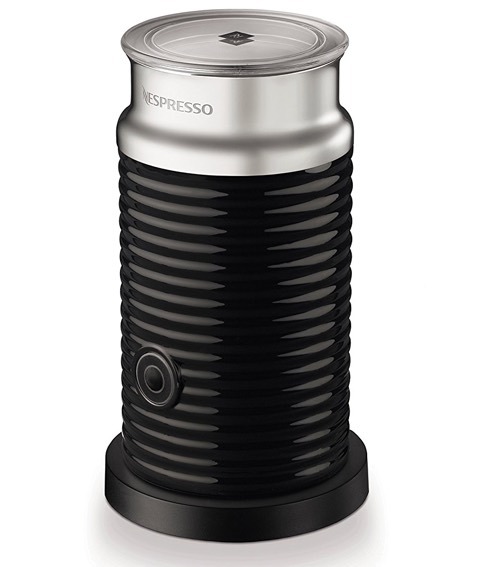 Aeroccino is Nespresso’s electric milk frother that heats and froths milk for making Cappuccino or Latte. It includes two whisks for creating different density of milk froth and it can make hot or cold froth. When buying a Nespresso machine, you have to option to buy it as a stand alone or bundled with this milk frother. If you’re planning on making milk based drinks, then we highly recommend that you include it with your purchase. No, you can’t. Nespresso machines are compatible with their own capsules/pods only. Can I use the Same Capsules For More Than Once? Each Nespresso capsules is pre-measured with the exact amount of coffee ground you need for a perfect cup of Espresso or Lungo. Technically, You can hit the brew button twice on the same pod before you’ve ejected it, but that won’t be a good idea. The coffee will not taste good as you’ve already spent the coffee ground inside the capsule on the first shot. So we really don’t recommend doing this. Can I use My Own Coffee Ground with Nespresso Machines? There are non-official refillable Nespresso capsules that you can use to brew your own coffee ground, however, they’re not recommended. These capsules, manufactured by companies other than Nespresso, can actually harm your machine. Also, chances are, you won’t get the measurements or coffee ground right or as good as Nespresso makes them, which can negatively affect your experience. Can I Make Tea with Nespresso? Surprisingly, you can! Not officially though. There’s a company that makes tea pods that are available for Nespresso machines, which you can learn more about here. Where Will I Buy Nespresso Pods From? There’s available online at Nespresso or Amazon. They’re slightly more expensive on Amazon, but you’re not restricted to buying in quantities of 10 like at Nespresso’s website. They’re also available at Nespresso Boutiques available worldwide. Learn more about buying the capsules here. Is There a Difference Between the Pixie C60 and D60? Or the U D50 and C50? Not in the way the machines function. The names refer to slight aesthetic differences in the coffee spout or available color only. For example, the C60 is available in Titanium and Chrome, and the side panels look differently than the D60 which has a smooth side panel and is available in colors like red, green and blue.